Le Creuset Toughened Non Stick is a sleek range of non-stick frying pans created firmly with the consumer in mind. 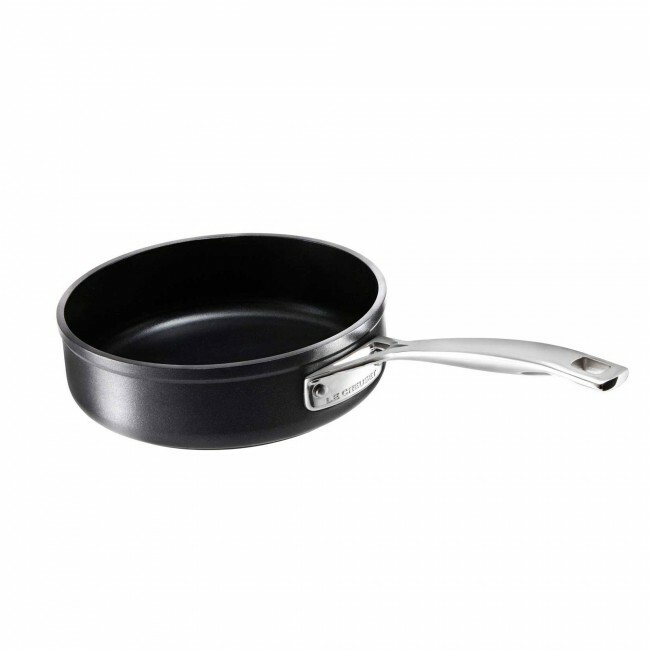 Featuring a specially treated, forged aluminum body and toughened non-stick surface, these pans are extremely durable and are light enough for everyday use. Available in a wide choice of shapes and sizes, there is a pan for every cooking occasion.